Signs.com is a direct to consumer sign company with a wide variety of signs for many types of business and personal applications. They deliver value through their expertise and pricing, offering a price match guarantee! This No Middleman favorite allows you to create signs using their gallery of templates or you can use their free design services to make something from scratch. 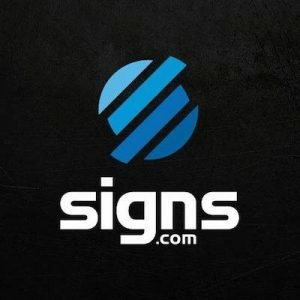 Signs.com is an industry leader with over 20 years of experience, and shipping is free on all orders over $75.